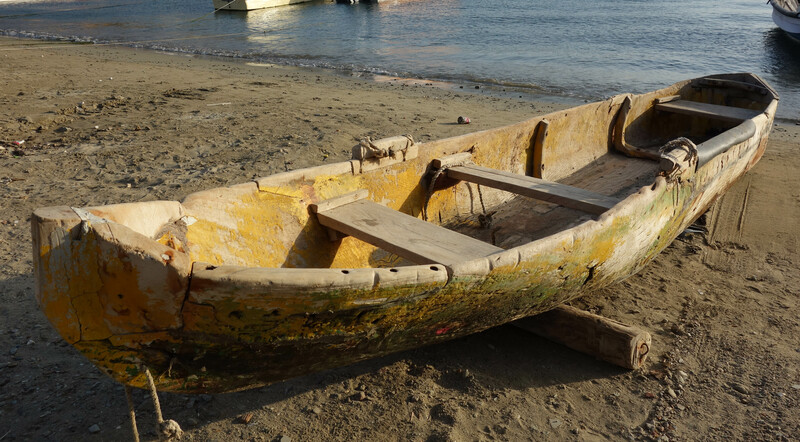 Having travelled the Caribbean Coast for a while I have a number of stories to tell, however, there is one that comes to mind and makes me think of the traditional Flatner over and over again…. 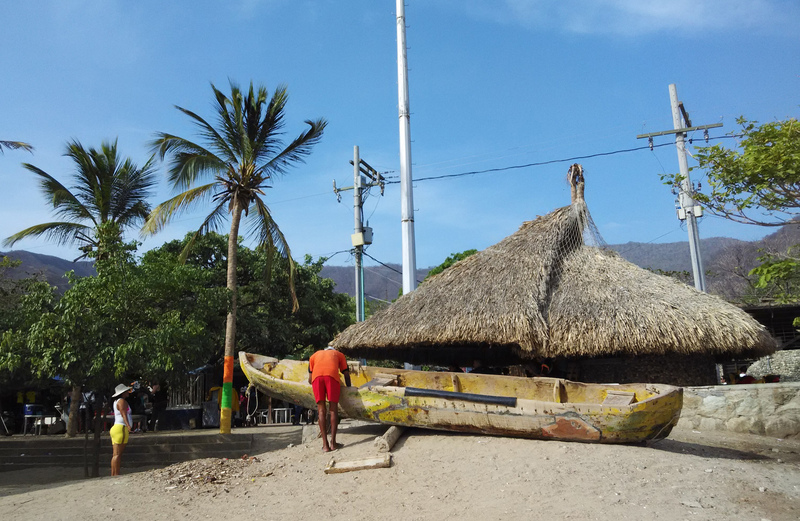 Taganga is a little village nearby Santa Marta in the Caribbean coast of Colombia. It is a tiny place where tourists come to enjoy crystal clear sea water, unique sunsets in the beach, fish and sea food by the coast, excellent views of the Caribbean sea… however, staying in the place longer than a couple of days I started to realise that the community hasn’t yet lost its essence as many other places do when tourism becomes the driver of their local economy. 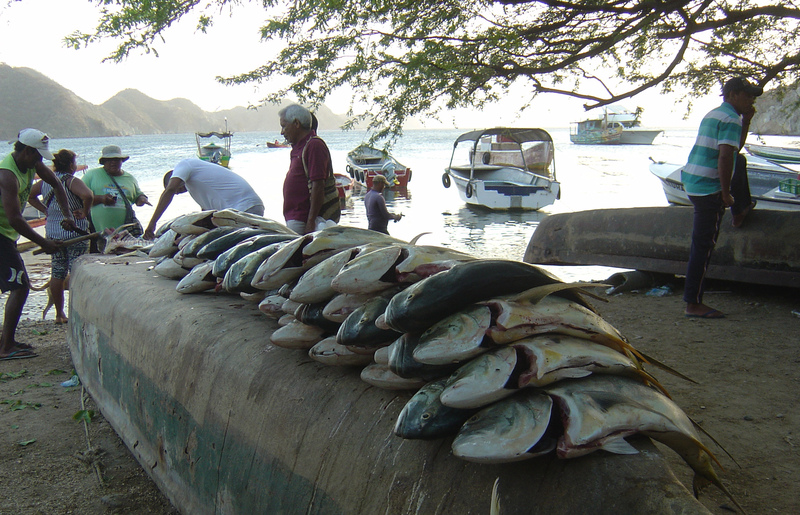 Before tourism arrived within the last decade the sea was their only livelihood as the land that surrounds them is unsuitable for farming, there is no fresh water supply and very little rainfall. 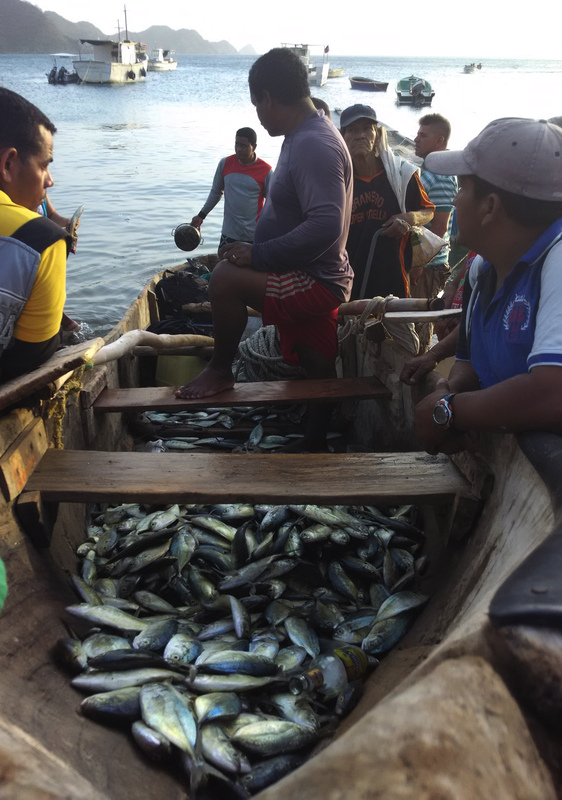 It was interesting to share a day with a group of fishermen, the technique they use is net fishing and that is based on “waiting”. Everything is quiet , the group of fishermen chat, play cards in the shade while one of them is in the sea snorkeling to see if shoal of fish are gathering in the catchment area of the net. When the snorkeler gives the signal the moment arrives for all hands on deck. Everyone runs to positions and wrap the net’s ropes and pull, pull strongly to take the shoal of fish. They need as many hands as possible and some other fishermen nearby come to help too. They keep on pulling until they realise there are no fish. Time to place the net again. 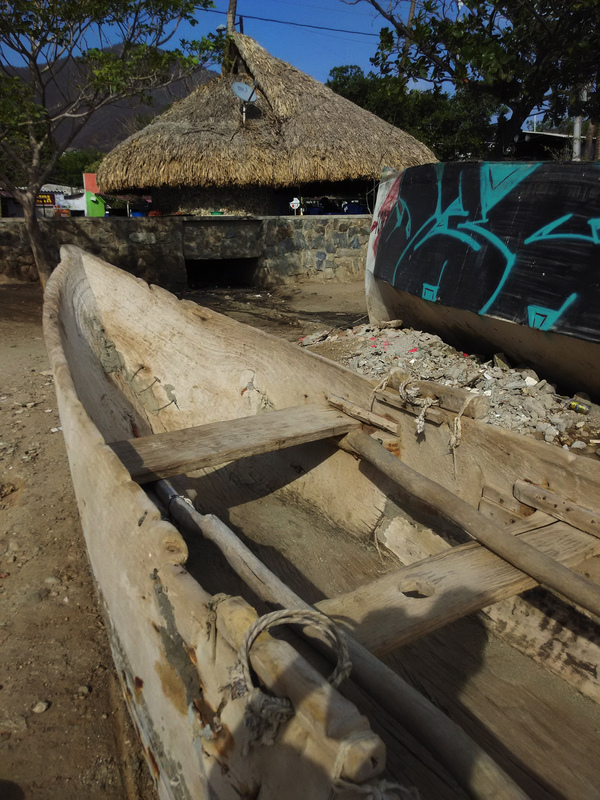 For that they use a canoe, a hand made canoe carved from one tree trunk. 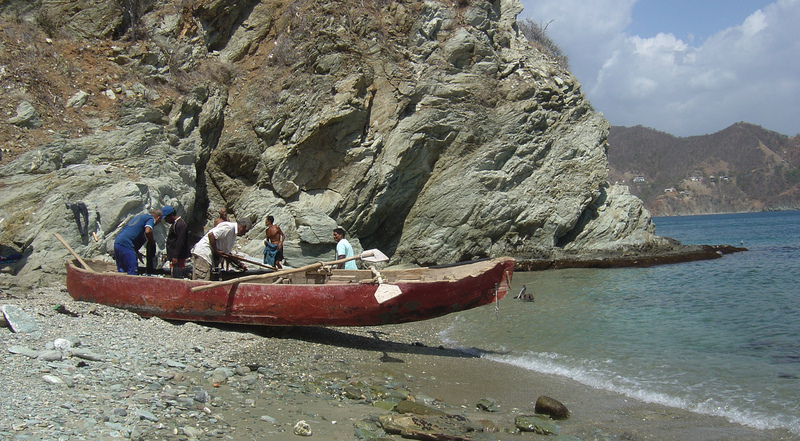 They have been using this type of boats for many many years and still they use them. They are heavy, low sitting canoes with an almost flat bottom. Especially beautiful on the beach beside the modern fiberglass engine boats surrounding them. 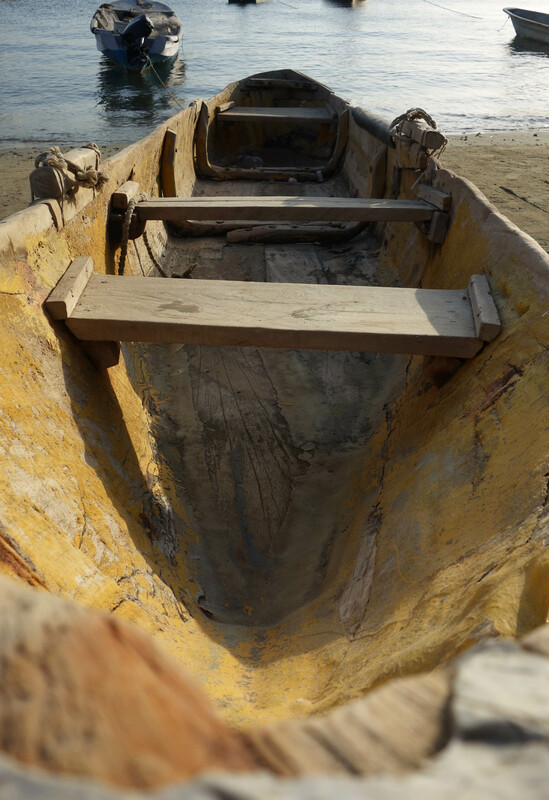 In these types of boats you can see how time passes, and how much these fishermen are connected to the sea being quite respectful with it. After waiting and waiting again the diver shouts again, and finally they got a great number of fish, a whole shoal of “cojinovas”. Time to leave today, it is 5:30 pm and the sun will set soon but there is still a final stop for them to be part of, back in the main beach in Taganga all of the fishermen groups come together to weigh the different catches, then is time to get a proportional amount of fish for each of the participant fishermen, the rest will go for either direct sale there, where the community is waiting for getting the best pieces for cheaper and the markets around. 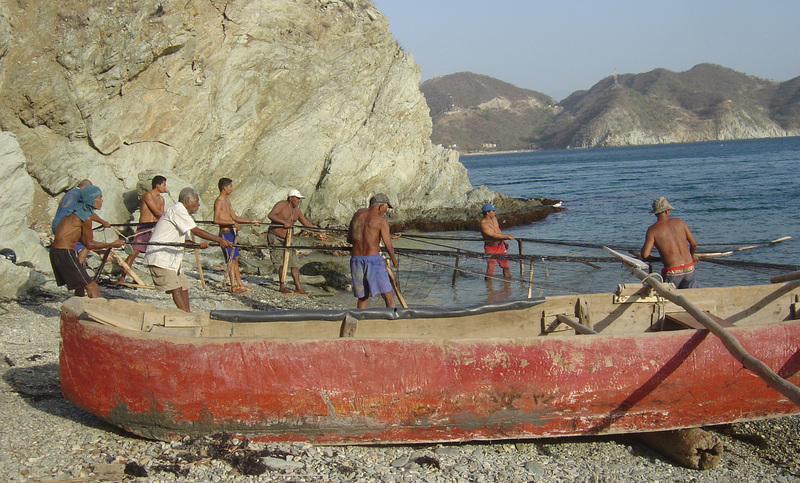 Still in Taganga fishing is the sole means of making money of many families and it was nice to see that the men fishing were a mixture of generations. They are just an organised number of groups fishing and still the familiar and community sense is still there. Tourism is quickly becoming the main driver of their economy but it will never have the resilience that the fishermen have because of tourism’s heavy dependency on fresh water which daily is transported in trucks. The whole village needs this water and the people who live there have an awareness of the scarcity of fresh water that the tourists passing through generally don´t have hence posters all over the villages hostels and hotels which say “Taganga no tiene agua, cuidala” (Taganga has no water, look after it). Cartagena de Indias (Colombia) 18th of July 2015.